"You're a Down man and somebody approached you, you'd have to give it consideration"
10 June 2018; Carlow selector Steven Poacher during the Leinster GAA Football Senior Championship Semi-Final match between Carlow and Laois at Croke Park in Dublin. Photo by Stephen McCarthy/Sportsfile. WHATEVER system or style of football a manager implements won’t matter unless the players buy into the idea, says Steven Poacher. 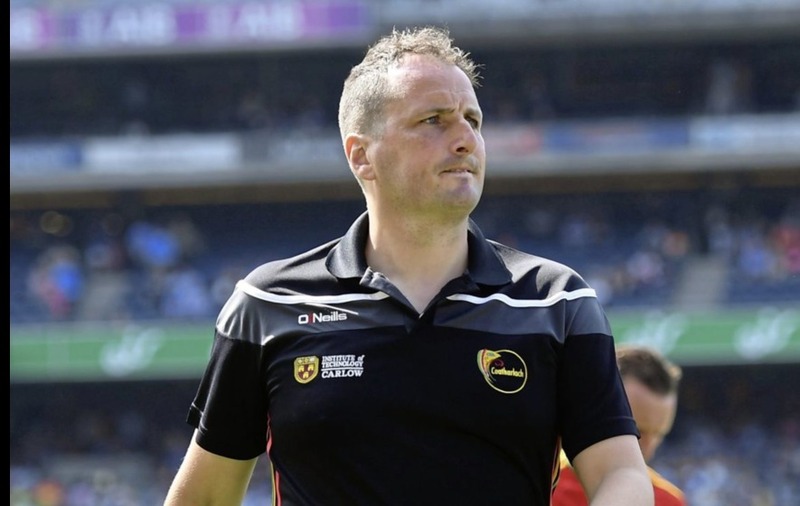 The Carlow coach is being touted to replace Eamonn Burns on a joint-ticket alongside former Mourne star forward Shane Mulholland. He insists that his focus remains with the Barrowsiders and the Ballyholland outfit that he’ll guide into club championship action over the next month, but admits that if the call came, the opportunity to manage his native county would carry a strong allure. “You’re a Down man and somebody approached you, you’d have to give it consideration. You don’t get too many opportunities to manage your own county. “There’s a lot of talent and scope to work with. If the opportunity came, you’d have to give it consideration. Poacher is Marmite. Some love the infectious enthusiasm and energy. 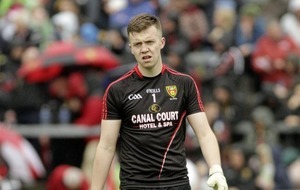 Some dislike the style of football that has manifested in Carlow. The statistics paint a different picture than the bare narrative sometimes suggests, and he doesn’t concern himself that the criticism might have stuck. In a county so proud of its tradition, and the methods that brought it about, is that a disadvantage when it comes to getting into a position to affect change? “The first year in Carlow was about getting a plan in place and getting things right, and then your second year is to evolve. ”People are very quick to throw things about defensive football, but facts outweigh opinions every day of the week. Against Louth we hit 2-16, against Kildare it was 2-14. What more do people want? “We’re playing against teams two and three divisions above us and still getting those scores. I think sometimes people are very quick to throw something out and it gets latched on to. “People talk about Dublin, and it’s been very clear over the last few weeks that they have the best defensive organisation in the country. “They’re fantastic defensively. It’s the way they break with so much pace and purpose, and they have an offensive plan. The speed the ball’s moved about at, they’re nearly like a basketball team, and then they get the right people on the ball in the scoring zone. “If Michael Fitzsimons breaks forward and finds himself with the ball on the edge of the ‘D’, he’s looking around to see where Dean Rock is on the loop. Everyone knows their roles. Down football, as a whole, has done its best to resist the temptations of modern football. They still want to attack, still want to kick the ball, still want to stand up man-for-man. ‘If that’s not good enough, so be it’ is the prevailing attitude. 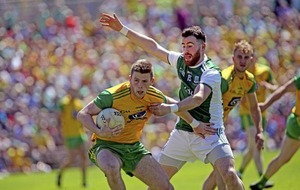 It owes to a tradition left over from generations past, and which was strengthened by the style in which James McCartan had his side playing when he took them from nowhere to an All-Ireland final eight years ago. “I’ll never forget, we were playing in a junior championship final years ago for Mitchel’s and Ross Carr was the manager,” says Poacher. “People talked about the great tradition Mitchel’s had in the ‘60s and his line was: ‘F*** tradition, you make your own’. “This generation has to make their own tradition. There’s no point in talking about tradition and years gone by – it’s about now, how the game is now and how it’s evolved. “Everyone has their own way of playing, and offensively you need the ability to counter-attack at pace, with a running game and a kicking game. You can still play very good football and have a plan. “Just because you have a certain plan or certain structure, it doesn’t mean you can’t score. Look at Carlow this year, we got heavily criticised for two games against Laois but when you look at the overall picture, we had a +35 score difference, the best in the four divisions. “We scored 15 goals. We pressed every single opposition’s kickout in the league, and we averaged 17 or 18 points while having one of the best defensive records in the four divisions. It’s about getting the balance right.